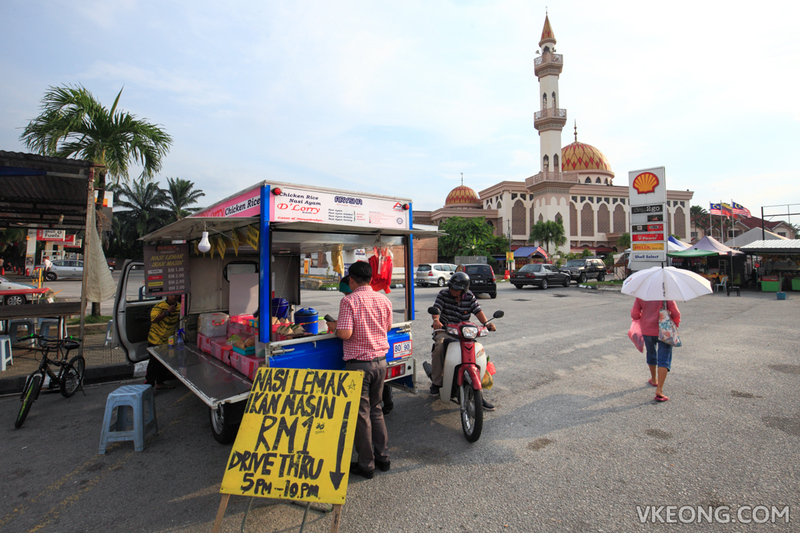 Earlier this month, we dropped by Shell next to Masjid Amaniah Kepong for petrol and some refreshments. We noticed this food truck manned by a lady called Nasi Lemak Ikan Masin Drive Thru. It is parked outside the station and sells nasi lemak bungkus at RM1 each. Since it was so cheap, we did not hesitate to buy a couple packs. 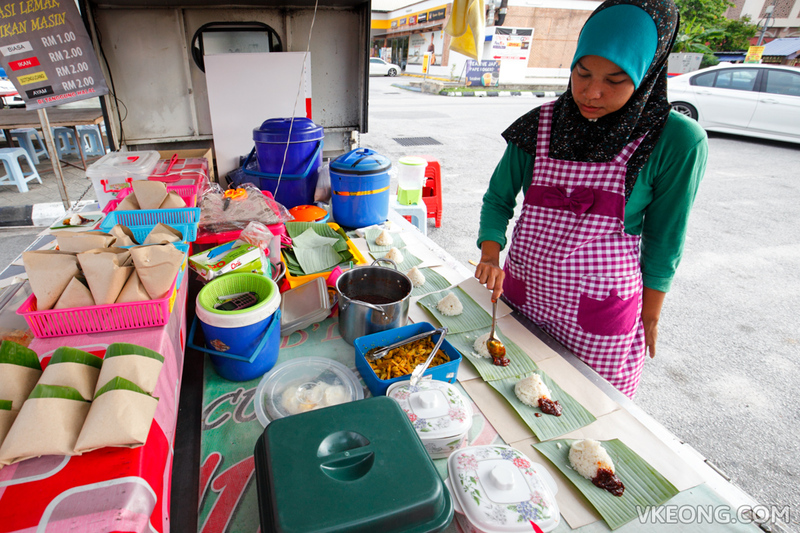 Besides, based on my personal experience it is hard to go wrong with nasi lemak that is sold nearby a petrol station. There are a few pre-packed ones available but she is constantly preparing new batches in small quantity to keep the taste as warm and fresh as possible. 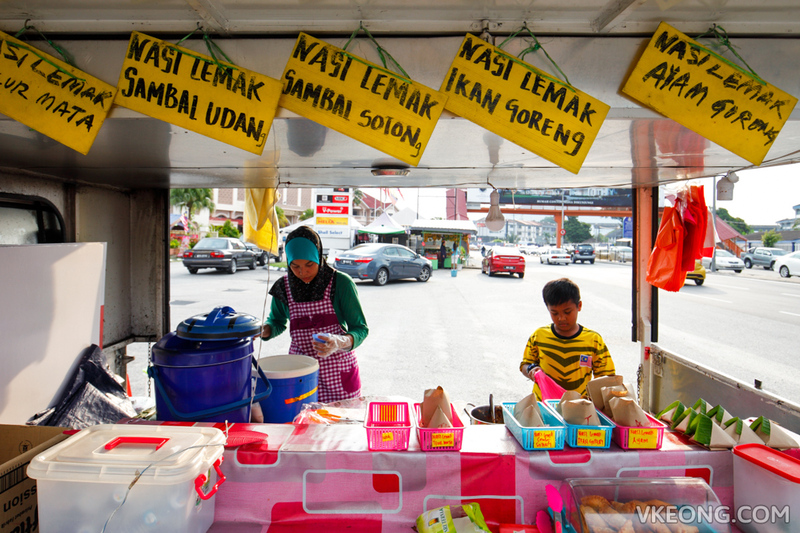 From what we were told, the lady sells nasi ayam during the day at Jalan Tun Perak in front of Menara Bank Islam. Then she will move here in the evening to sell nasi lemak. 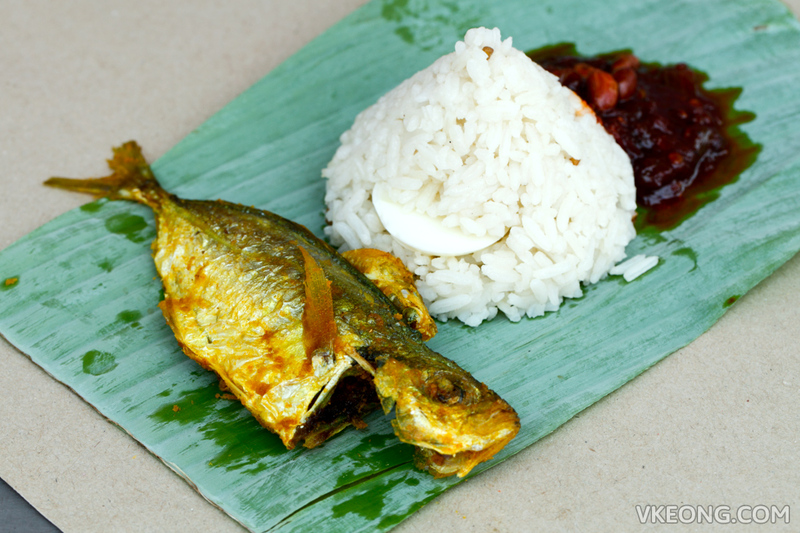 The reason she added ikan masin to the nasi lemak is because she’s “orang utara”, so it’s some sort of tradition there. As for her sambal, it’s prepared according to a Johor recipe for that spicy kick. Turned out, the nasi lemak was excellent and we loved her spicy sambal. So we returned a few days ago just to try her other variants of nasi lemak with different toppings. 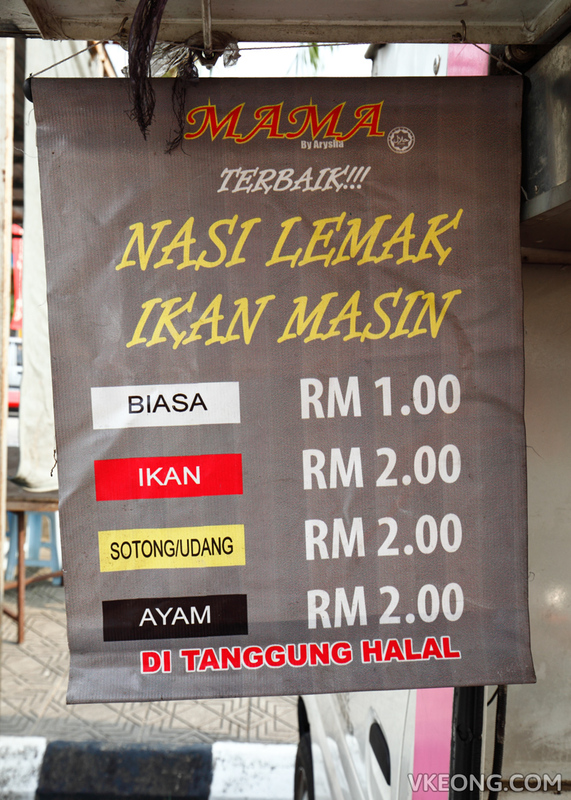 Safe to assume any nasi lemak with toppings are RM2 a packet, but I think the ones with added eggs are RM1.50 instead. The additional dishes you can top up for a more satisfying nasi lemak include fried chicken, fried fish, sambal sotong, sunny side egg, sambal udang, sambal sotong and sambal telur puyuh. Among all, we liked the ones with sambal telur puyuh, fried fish and sambal sotong the most. We really wanted to try her sambal udang but unfortunately it was already sold out when we got there. Considering it was only an hour into her business, I guess it must be really good and got snapped up by other customers who came earlier. 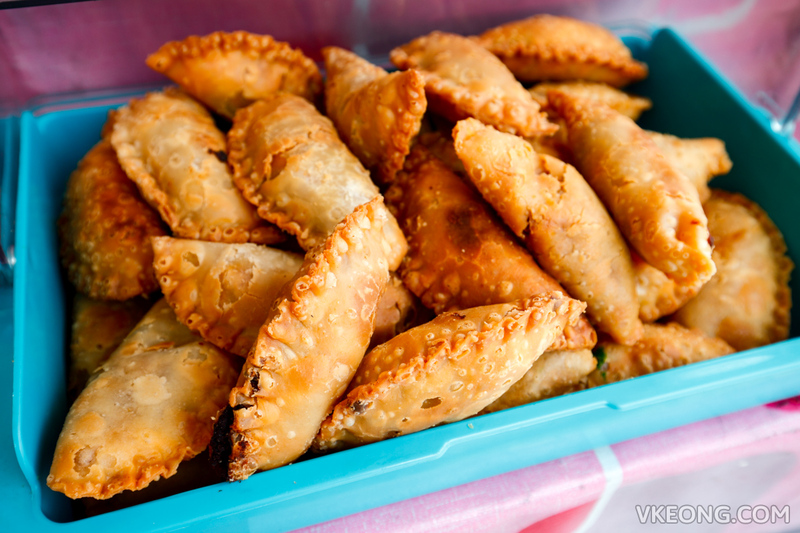 She also sells nice and crispy curry puffs at 50 cents each. Those with a green mark are sardine flavored, while the rest are filled with potatoes. 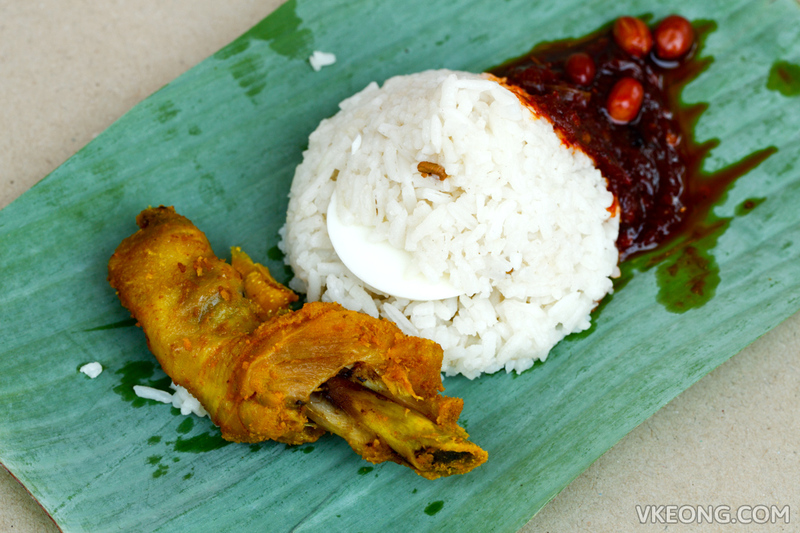 I would highly recommend you to give this nasi lemak a try. 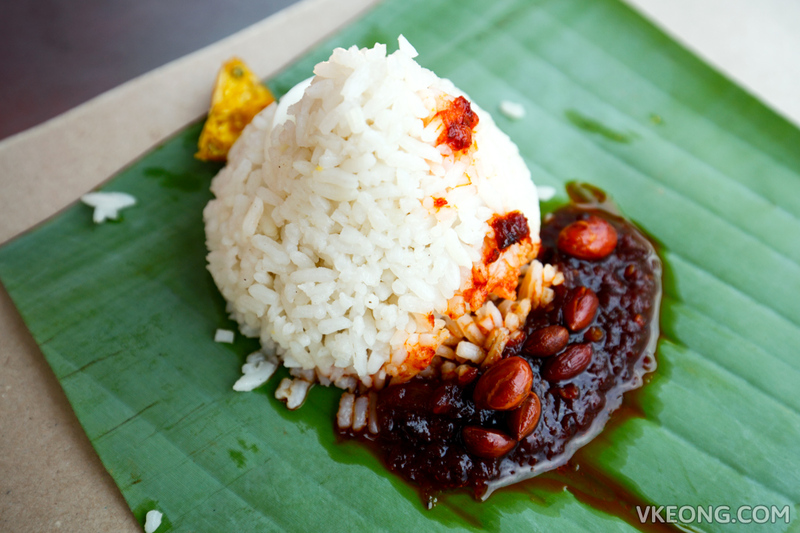 As we all know, nice nasi lemak with great sambal is hard to find nowadays, and they don’t come as cheap anymore. We need to support these hawkers as much as we can so we could continue to enjoy good food at affordable prices. 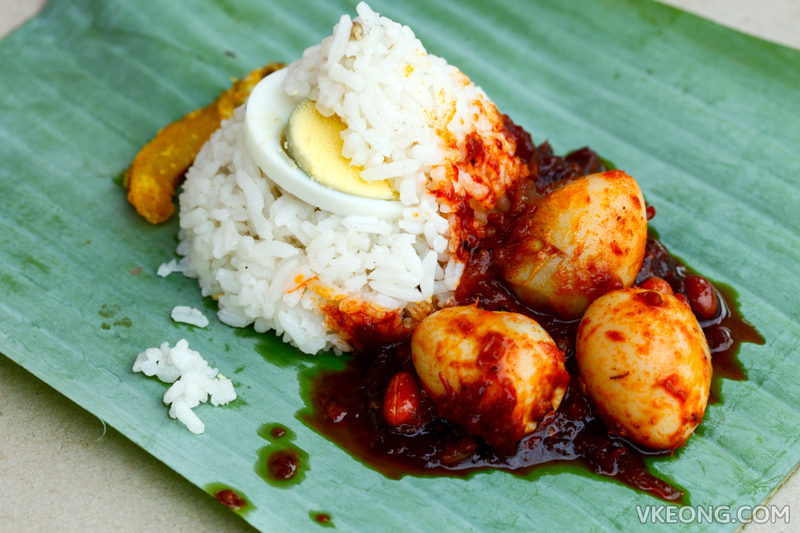 The post RM1 Nasi Lemak Ikan Masin Drive Thru @ Kepong appeared first on Malaysia Food & Travel Blog.